My thanks to Howard and Joni Bender for sending me these photos of “Monster Mash” on sale at DreamHaven Books in Minneapolis. 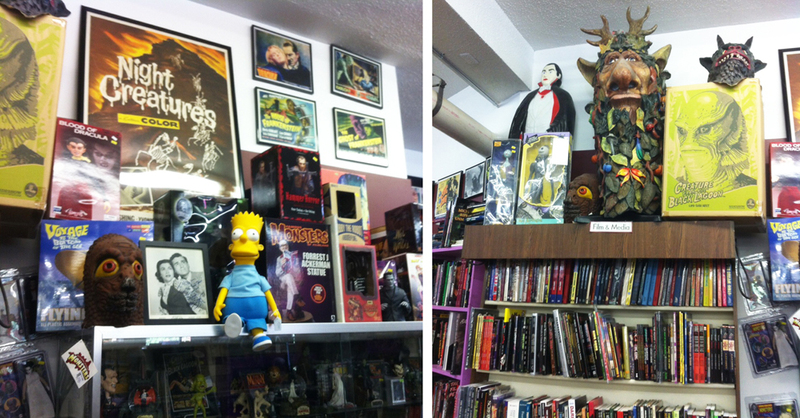 DreamHaven specializes in the cool stuff: horror, sci-fi, comics. The store’s bread-and-butter is books, but it also sells related merchandise. Some heavy hitters have done signings at DreamHaven Books, including Robert Bloch, Art Spiegelman, Harlan Ellison, Clive Barker, Neil Gaiman, Scott McCloud and F. Paul Wilson. I hadn’t known that someone marketed a Forry figure. Sure enough, Dark Horse, bless ’em, did just that. 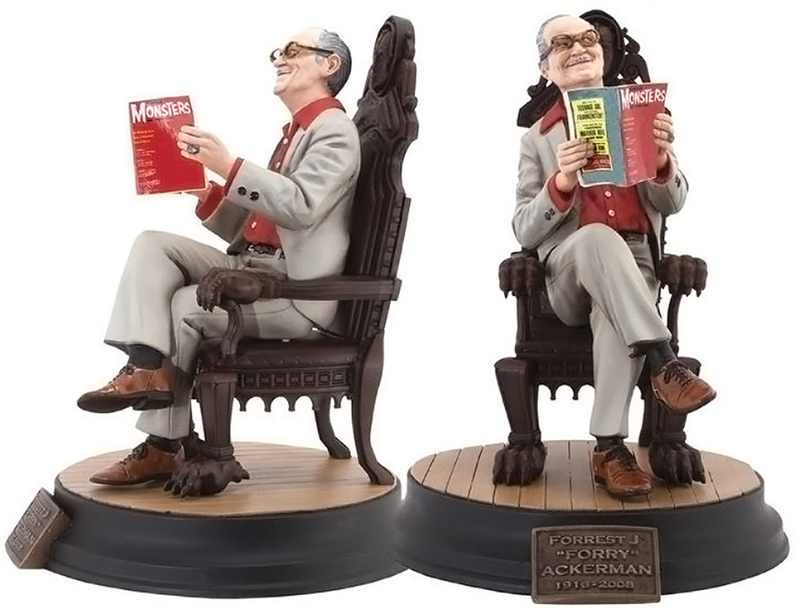 Dark Horse’s official photos of the Forrest J Ackerman figure are below. What’s next, I wonder? Jim Warren at his desk? Basil Gogos at his easel? Greg Bazaz opening mail? 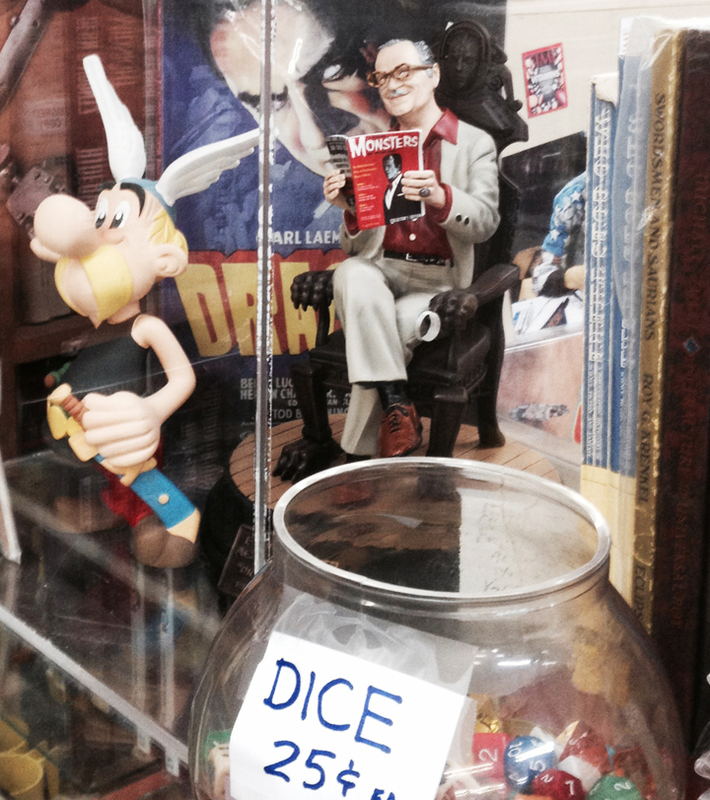 Anyway, “Monster Mash” is in great company — and is right at home— at DreamHaven Books. Thanks for carrying it, gang! DreamHaven Books is located at 2301 East 38th Street in Minneapolis. Their website is http://dreamhavenbooks.com.